Celebrating Raffles’ illustrious 130-year heritage and the fabled tales of its most distinguished guests, Soirées, Sojourns & Stories By Raffles is a fascinating book which plunges readers into the romance, glamour and history of one of the world’s most revered luxury hospitality brands. 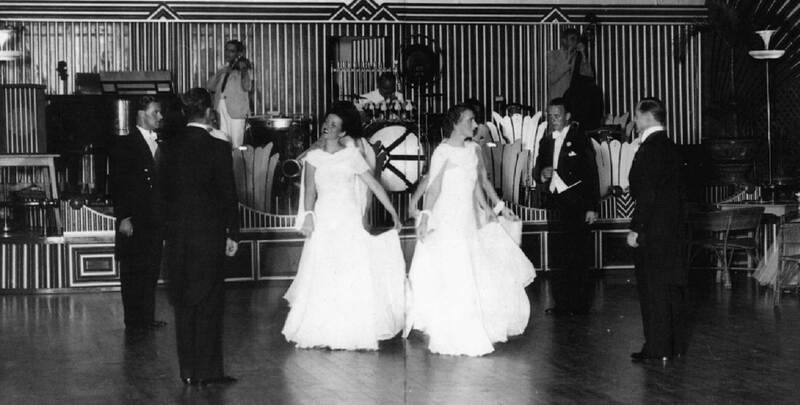 Raffles introduced the world to private butlers, the famous Singapore Sling cocktail and enduring, legendary service described “like a gentle breeze”. 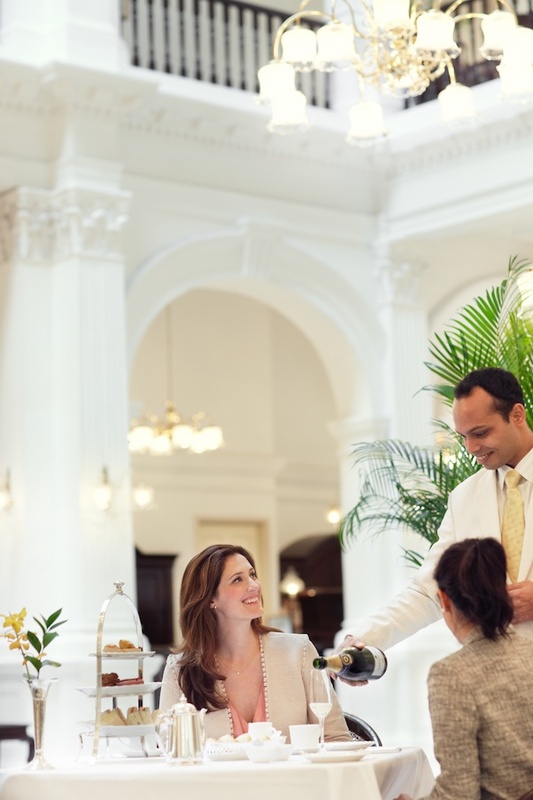 For over 130 years, Raffles Hotels & Resorts has been the enchanting oasis of famous writers, royalty, celebrities and well-heeled globetrotters. In celebration of its unique legacy, Raffles has partnered with Rizzoli New York—the leading publishing house for fashion, fine art, design, travel and photography—in the creation of Soirées, Sojourns & Stories By Raffles, an exquisite 200-page slipcased volume that unearths the remarkable legend of Raffles. Written by leading British fashion writer and novelist Natasha Fraser-Cavassoni (Vogue, Harper’s Bazaar, Times Magazine) and filled with riveting tales and endearing anecdotes, the book weaves through history to reveal the timeless beauty and enchanting icons of Raffles—from the opening of the mythical Raffles Singapore in 1887, to its flagship properties in Paris, Seychelles, Istanbul and beyond, and the recent unveiling of the spectacular Raffles Europejski Warsaw. 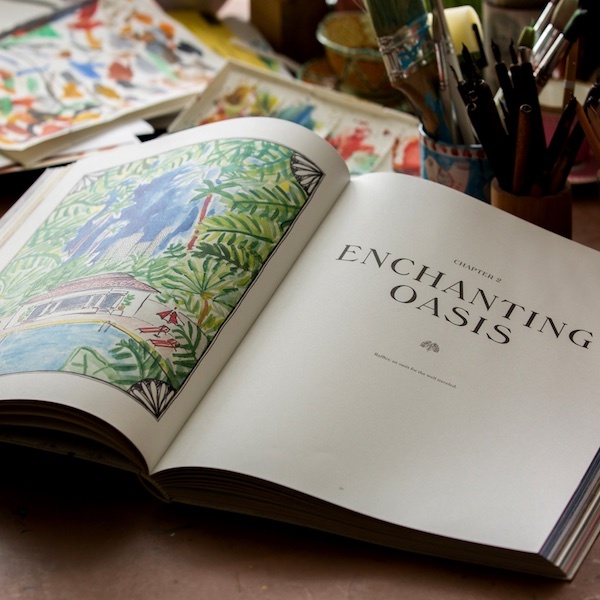 Left to right:Inside of book : Chapter 2 « A Romantic Start »- Inside of book: Chapter 2 "Enchanting Oasis"
The entire Raffles experience is mesmerising - the "pinch me, I must be dreaming" kind. Many famous writers, poets and artists have graced the hallowed halls of Raffles and found endless inspiration there since 1887. 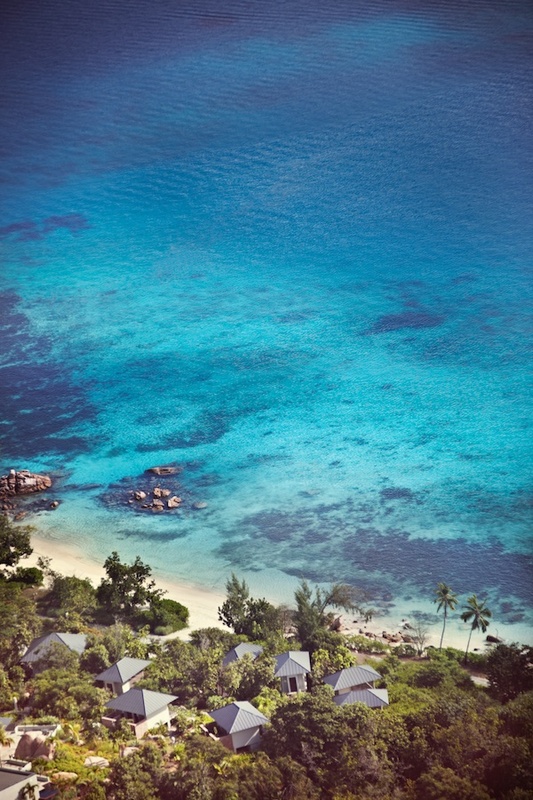 Novelist Joseph Conrad and Rudyard Kipling were some of the hotel’s first guests, and British actor and playwright, Noël Coward was a frequent resident for over forty years. W. Somerset Maugham loved to sit in the shade of the hotel’s fragrant frangipani tree to edit his manuscripts, and famously quoted, “Raffles stands for all the fables of the exotic East.” Pulitzer-Prize-winning novelist, James A. Michener wrote, “To have been young and had a room at Raffles was life at its best.” To this day, Raffles’ legendary Writers Bar and the charming Bedtime Stories placed upon each guest’s pillow every evening pay tribute to its rich literary history. Every chapter of the book takes readers on a voyage of extraordinary moments, from Singapore to Cambodia, Dubai, Istanbul, Paris, Warsaw, the Seychelles and beyond. Discover fascinating tales such as when Jacqueline Kennedy visited the alluring Raffles Hotel Le Royal in Phnom Penh in November 1967, and caused such a sensation that the hotel created the ‘Femme Fatale’ cocktail in her honour. 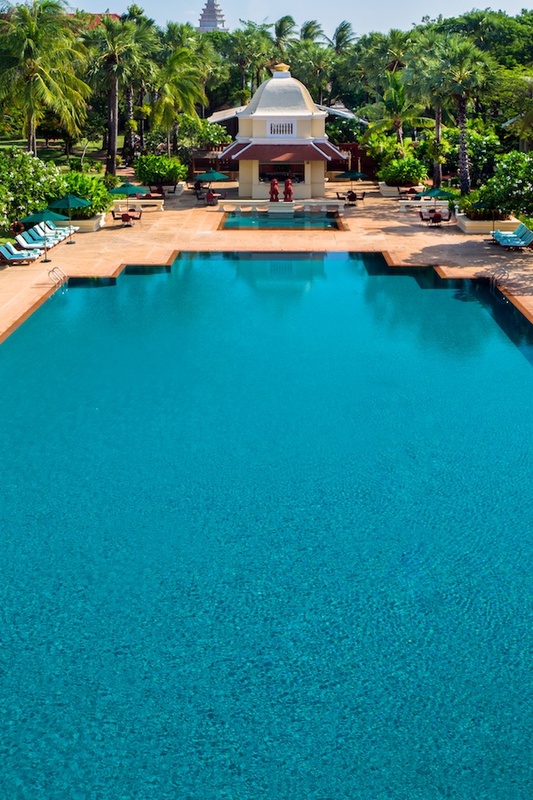 At the magnificent Raffles Grand Hotel d’Angkor, where King Sihanouk of Cambodia and his family loved to ride their herd of royal elephants, readers will dream of swimming in its mythic swimming pool inspired by the royal bathing pools of the Khmer Kings in Angkor Wat—one of the largest in Cambodia. Raffles’ historian and long-time employee, Leslie Danker, shares a wealth of riveting tales throughout the book, including the time in 1902 when a Bengal tiger, nearly eight feet in length, escaped from a nearby circus and eventually turned up at Raffles Singapore Bar & Billiards Room. 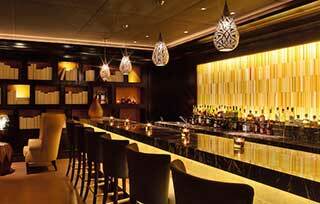 At Raffles, arrive as guests, leave as friends, and return as family. 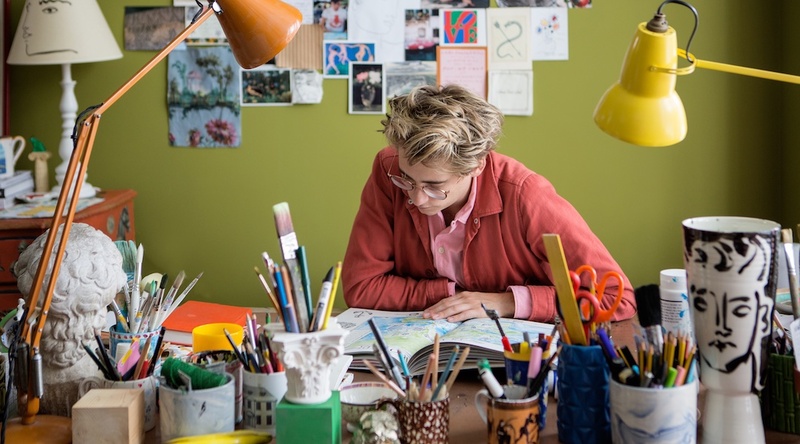 Above and below :Artist Luke Edwards Hall in working in his London studio; the artist’s illustrations featured within the book, including the enchanting Raffles Singapore swimming pool, a portrait of various distinguished Raffles guests, and the mythical facade of Raffles Singapore. Tigran Sarkies once said about the Raffles experience, “We set the pace and have our imitators.” The book plunges readers into Raffles’ celebrated iconic design, with a look into the Raffles Dubai’s unique pyramid building which blends contemporary Middle Eastern and Asian design with components of ancient Egyptian history. At the recently opened Raffles Europejski Warsaw, set within Henryk Marconi’s magnificent nineteenth-century building, the Long Bar features one dramatic single block of white Carrara marble which spans over thirty feet. 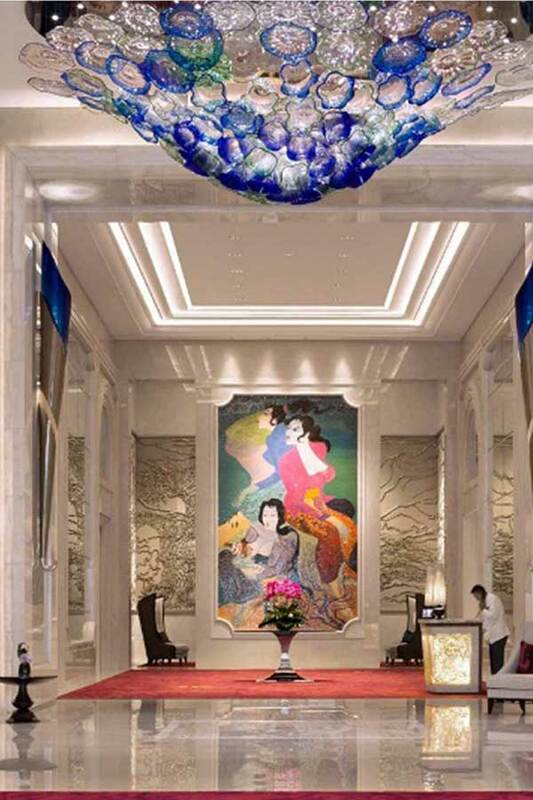 Colour and light dominate the design of the Raffles Jakarta, inspired by acclaimed Indonesian artist Hendra Gunawan’s work, whose influence continues in the lobby where the focal point is a flower-shaped Preciosa crystal chandelier. Raffles has entered a new era of expansion, yet the brand remains true to its origins—delivering the timeless elegance, first-class travel experiences and the authentic personal charm that its loyal guests have loved for well over a century. Raffles Singapore is currently undergoing a careful and sensitive restoration, and is scheduled for a highly anticipated reopening in 2019. Raffles will soon make its first foray into North America with the opening of the Raffles Boston Back Bay Hotel & Residences in 2021, a welcoming oasis of refined elegance in the heart of Boston. 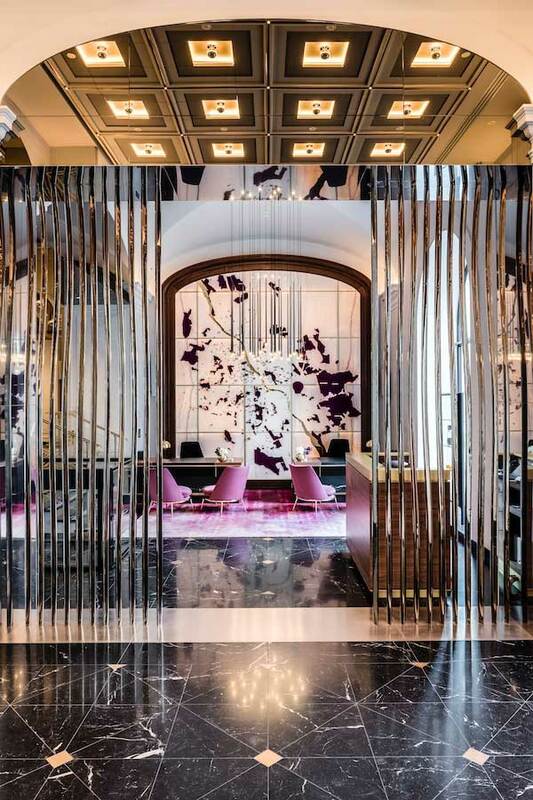 In London, French-born designer Thierry Despont is curating the interiors for a new Raffles London at The OWO (Old War Office) involving a major restoration of this national landmark with new private residences, restaurants and a spa. 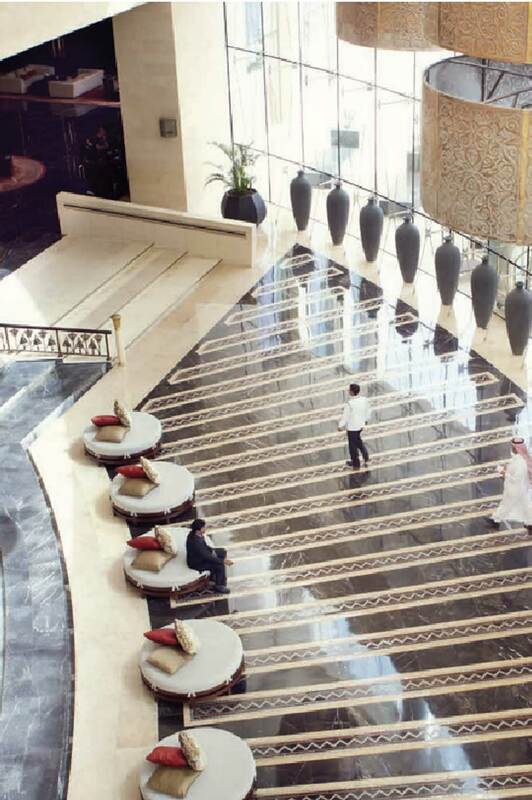 Left to right: Inspired by Indonesian artist Hendra Gunawan’s work, colour and light dominate Raffles Jakarta; Raffles Dubai’s lobby channels ancient Egypt and Raffles’ Asian heritage; the dramatic Raffles Europejski Warsaw lobby. Released on the 20th November 2018, the book can be discovered in Raffles hotels and at the Rizzoli bookstore in New York, as well as online at raffleshotelgifts.com and RizzoliUSA.com. In celebration of the book’s launch, a book signing ceremony will take place at Rizzoli’s New York bookstore on the 6th December 2018, and at the Royal Monceau, Raffles Paris on 11th December 2018. 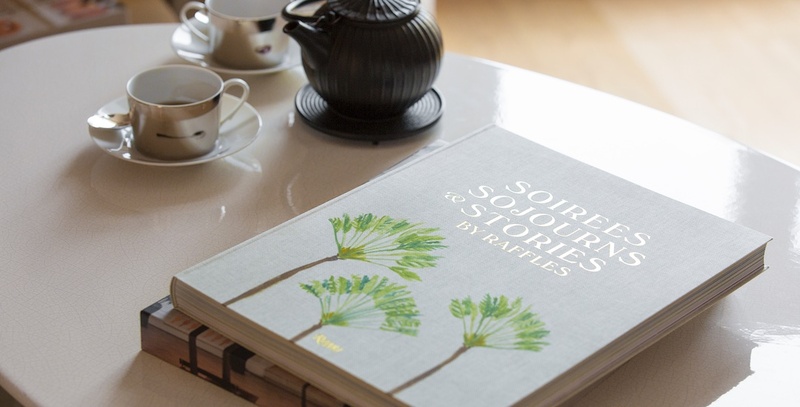 Soirées, Sojourns & Stories By Raffles is a beautiful gift for those who appreciate the glamorous world of luxury travel and the enchanting stories of the well-travelled. 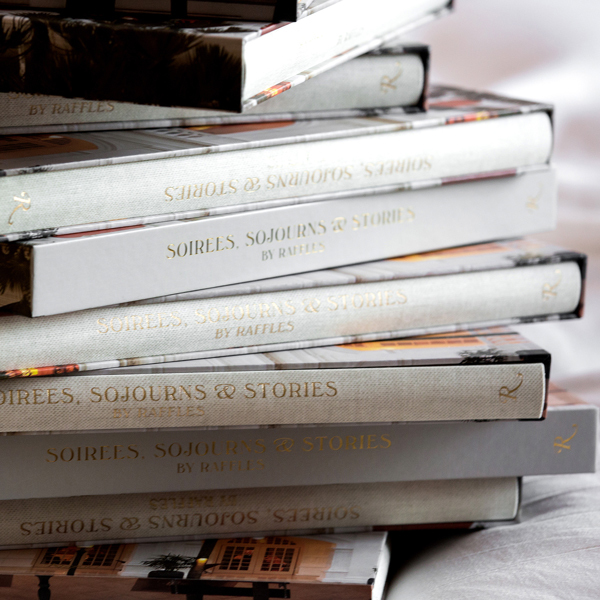 Raffles Hotels has a long literary legacy, inspiring all manner of scribes in its global properties. Raffles Europejski Warsaw has been to its original splendour. 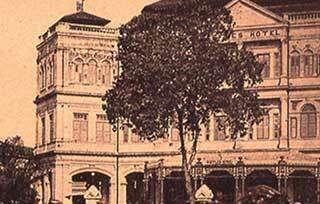 Raffles Singapore is undergoing a major restoration to reflect its past, present and future.